So I have been back and forth to the airport a ton of times in the last two months. We’ve really had back to back visitors! 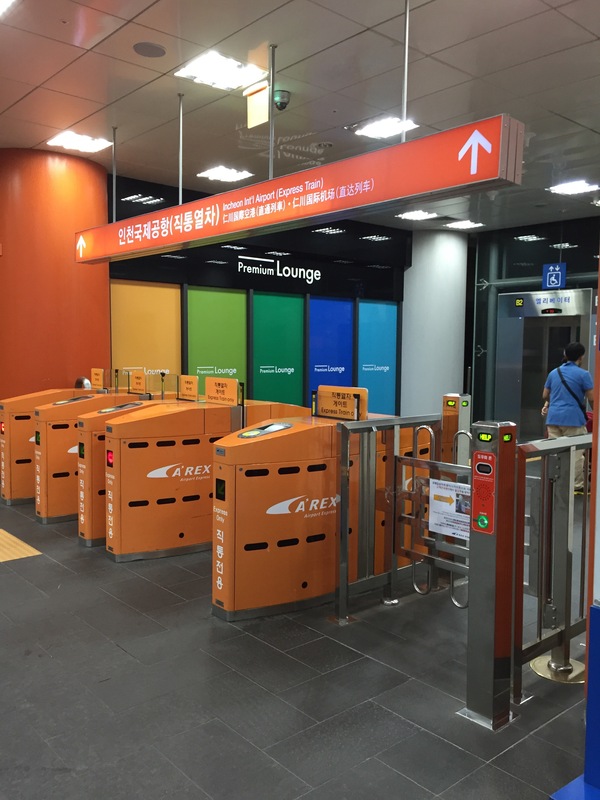 Lucky for me there is the A’rex to make going to the airport easier and more comfortable. 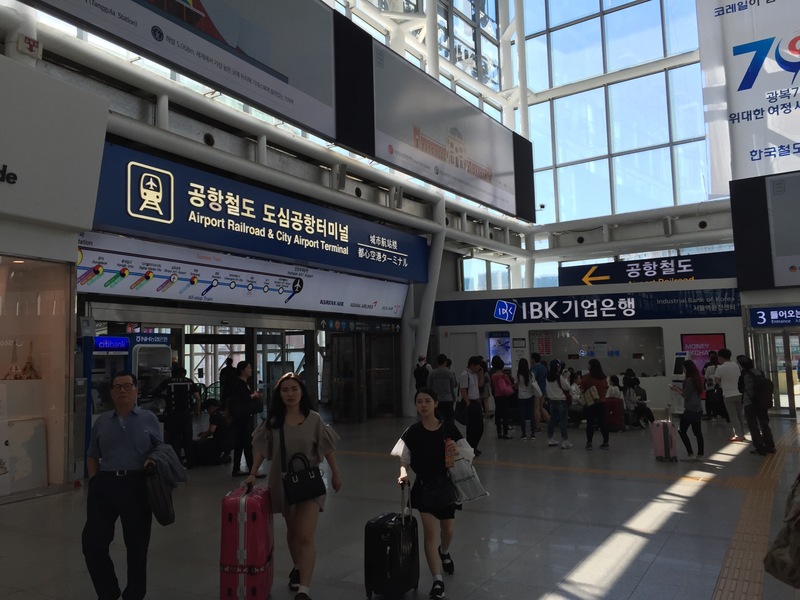 The A’rex is a non stop train between Seoul Station and Incheon International Airport. 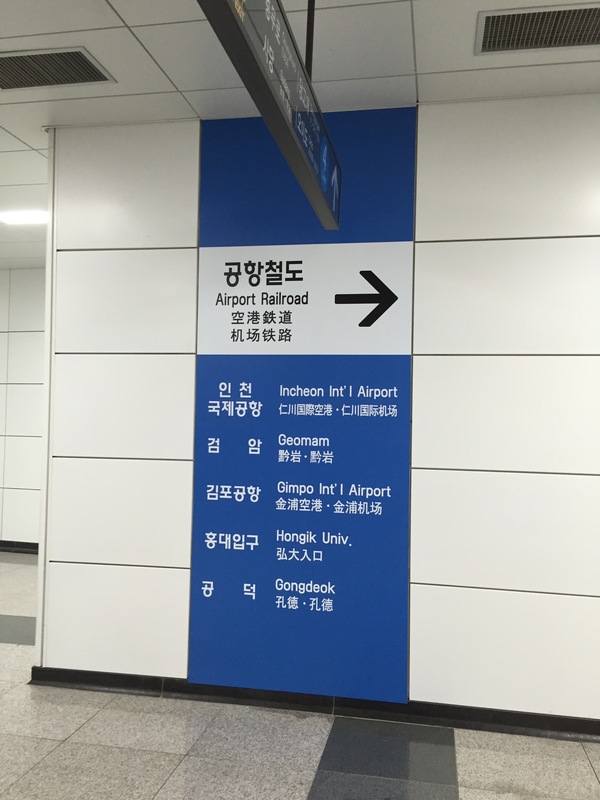 If you arrive to Seoul station via the subway, you will follow the signs for the Airport Railroad. 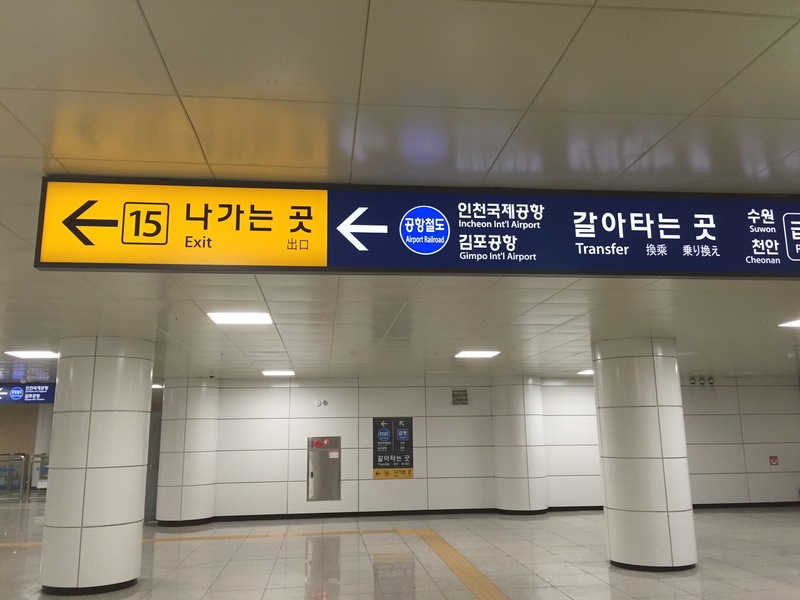 It will take you on a long walk leading towards the KTX train station. 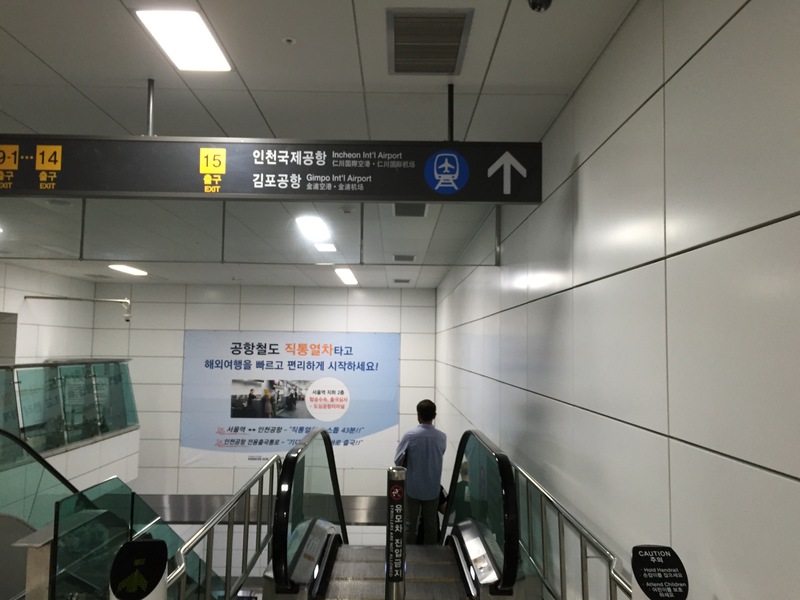 Once you enter the Airport Railroad area, continue to follow the signs until you see the Orange Airport Express signs. Then you will see the counter where you can purchase tickets. 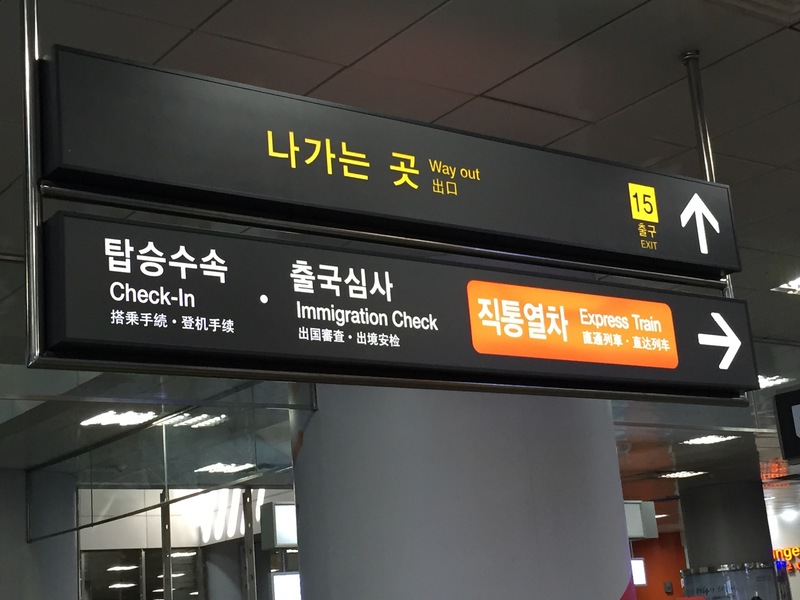 A one way ticket is 8,000 won. 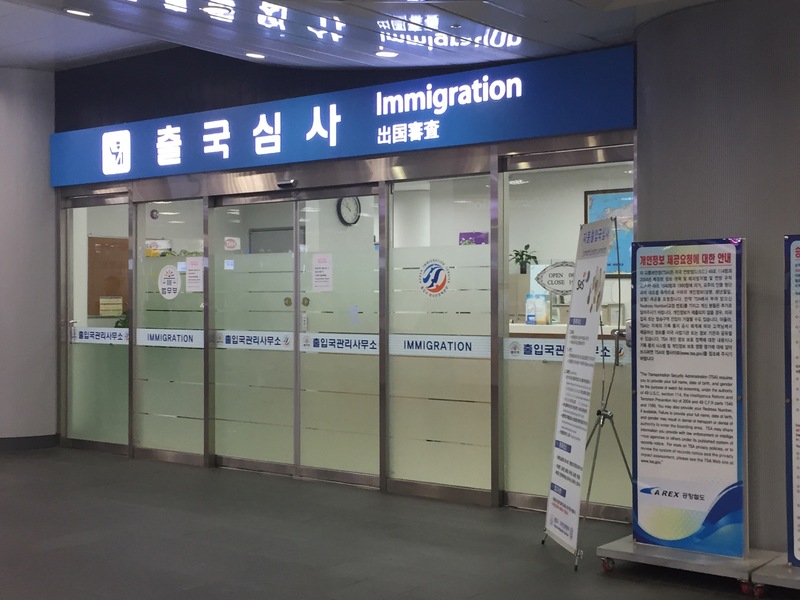 If you are flying Korean Air, Jeju Air or Asiana Airlines you will get a slight discount and can check in your bags in early. 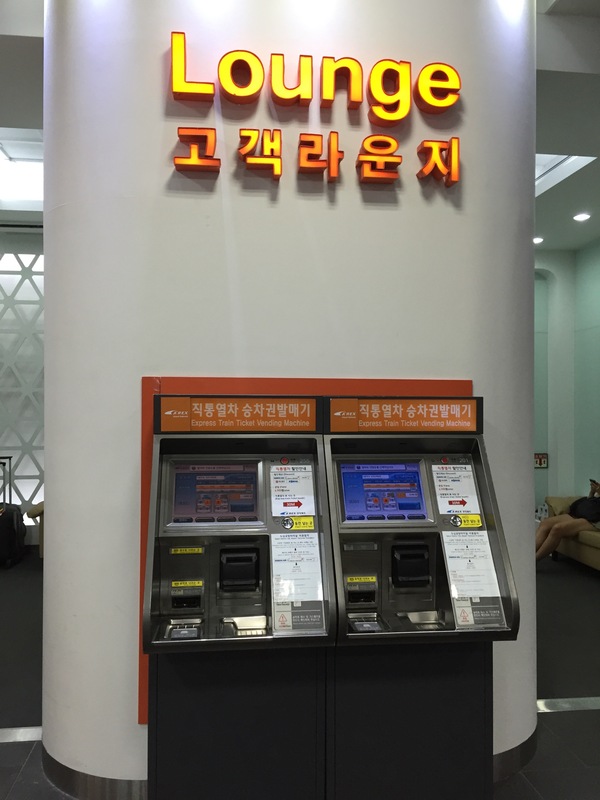 You can also purchase tickets at the automated machines. 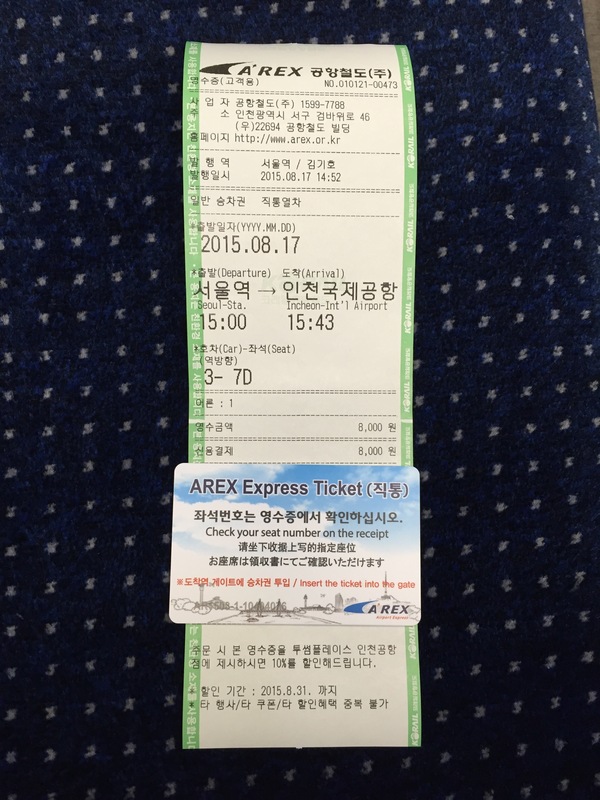 You will receive a receipt with your car number (in this case 3) and your seat number (in this case 7D). The departure time and arrival time are also listed on your receipt. You will also be given a card which you will use to swipe in and out of the A’rex turnstiles. 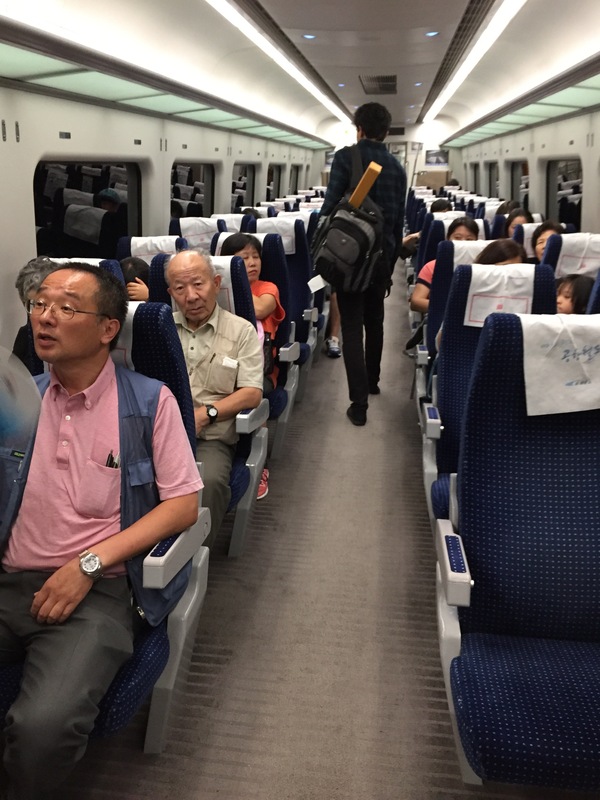 Overall the train is quite comfy, but make sure to check the time tables. The greyed out times are when the express trains run, so if you happen to miss the trains it’s a bit of a wait. You may decide to take the regular subway instead. So my favorite part of the A’rex is when you are heading to the airport! 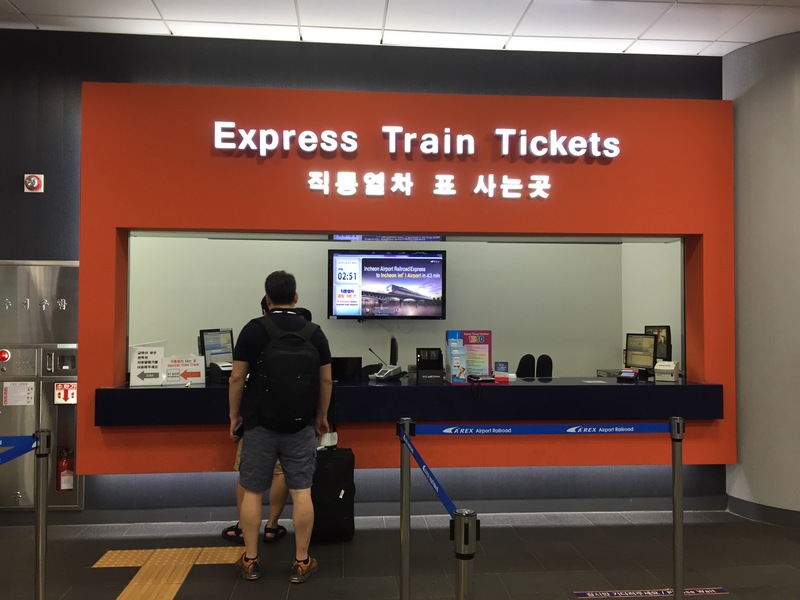 If you are flying Korean Airlines, Asiana Airlines, or Jeju Airlines you can check in and drop off your checked bags at the train station. It’s awesome. They will then check your luggage to make sure you will have no issues. 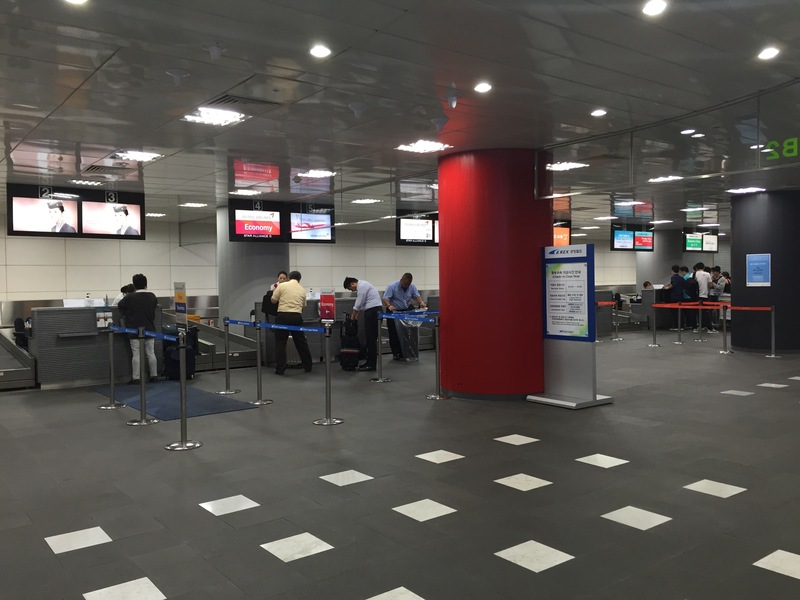 Then you go to the Immigration office and they will check your boarding pass and passport. You will then be allowed to use the crew/diplomat line at the airport. Overall I think A’rex is worth it, I like that there are assigned seats and the A’rex is very clean. I definitely recommend it when going back and forth between the airport.